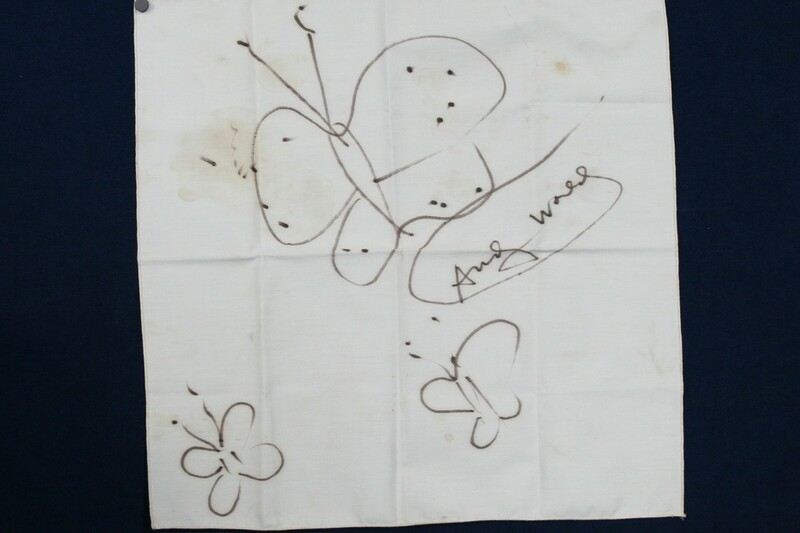 Kevin, an artist from Hawaii, brought this napkin drawing to ANTIQUES ROADSHOW in 2006 to find out if it really was by Andy Warhol. Editor's note 12.19.2016: As of 2012, the Andy Warhol Authentication Board, Inc. has been dissolved. 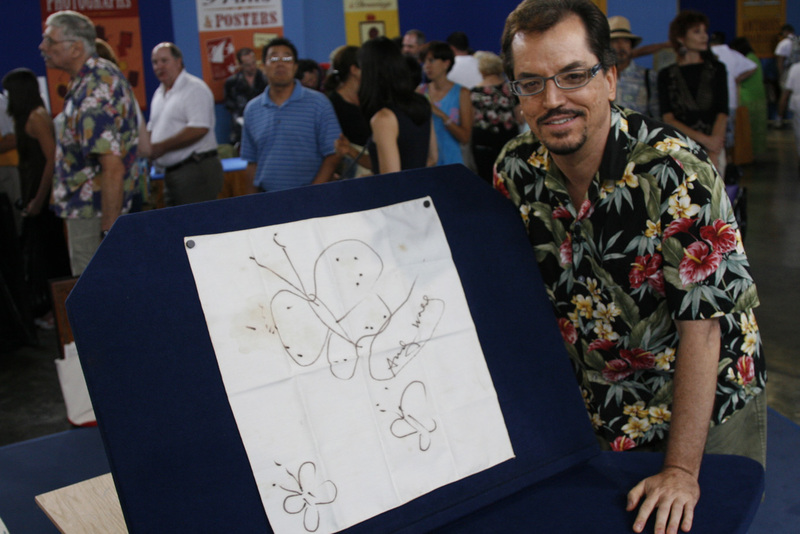 At the Honolulu ANTIQUES ROADSHOW, a man named Kevin brought in a sketch of three butterflies that he had been given in 1998 as collateral for a $1,500 loan he had floated to an artist. 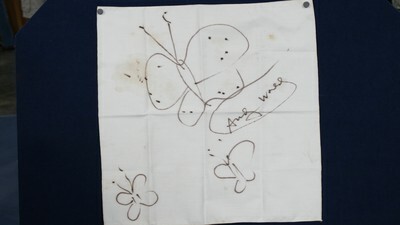 The artist told Kevin that the butterflies painted on a linen napkin had been drawn by Andy Warhol, the most well-known pop artist of the 20th century. Kevin was told that Warhol had done the drawing at a 1983 party hosted by Diana Vreeland, the fashion columnist and editor who was a close friend of Warhol's. The loan was never repaid, so Kevin kept the napkin, stowing it away in a drawer, unsure of how to frame it. 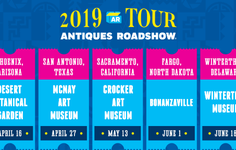 Kevin showed the sketch — along with its food stains — to appraiser Kathleen Guzman at the Honolulu stop of ANTIQUES ROADSHOW's 2006 summer tour. According to appraiser Kathleen Guzman, Warhol drew a lot of butterflies in the 1980s. "I've got to tell you something very strange about Warhol," said Guzman, who was convinced the drawing was Warhol's. "If it's not authenticated by the Andy Warhol Foundation, whether it is authentic or not, it doesn't exist in the world of Andy Warhol. 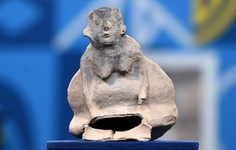 ... Now, if this is authenticated by the Foundation, this would be something that would easily bring $20,000 to $30,000 at auction. 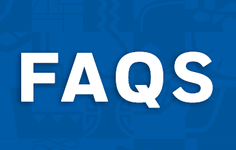 But I tell you, without the certification, it's a nice story worth $50 to $100." Kathleen said that such arbiters of authenticity — foundations or experts — exist for all kinds of art, and are what auction houses such as Sotheby's and Christie's rely on to legitimize a piece. "As the price of art becomes more and more expensive," she says, "it is very important that they are given a stamp of approval. In essence, the Warhol Foundation is doing what everybody else does as well, which is protect the artist's name and body of work." 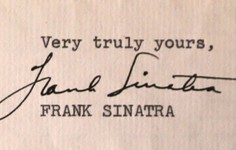 Related: Who Can Authenticate a Warhol? 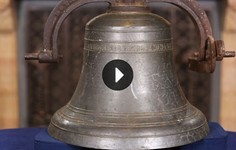 After his visit to the ANTIQUES ROADSHOW, Kevin called the Foundation, which has an Andy Warhol Art Authentication Board. He learned that the board only convened to authenticate purported Warhol pieces three times a year, and that the next review was on October 27, 2006. He sent the napkin, November came and went, and still he had no word. Still, Guzman cautioned Kevin not to pester the Foundation board for a response. "I've had people who wanted an instant answer on a work of art, and the instant answer they were given was 'No,'" she says. "Whether they were authentic or not, I don't know." Kevin was patient. He still hadn't heard the verdict when he passed through New York City at the end of November and picked up the piece at the Foundation's offices. Because he was nervous about the verdict, Kevin didn't even ask at that time which of the three categories the board may have already placed his napkin into: authentic, not authentic, or undetermined. 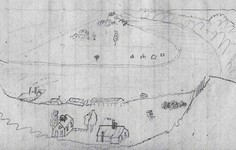 The very next day, Kevin received a call from his home and was told a letter had come from the Foundation with an answer. "It was a Warhol!" Kevin says of the napkin butterflies. "It's an odd piece, but it does count." He says the Foundation even referred to it as a work of art. Kevin will probably send it to Sotheby's to get an appraisal — something the Foundation does not provide — and then he'll probably put it up for sale. He also contends that his piece has a worth that goes beyond Warhol's art. "Since it was Andy's dinner napkin, his DNA has to be on it," says Kevin with a chuckle. "In that case, he could be cloned, which makes the value truly limitless." 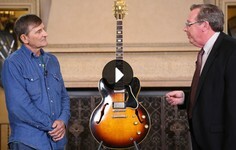 Who Can Authenticate a Warhol? ArtNews: "'You Develop a Sixth Sense': Richard Polsky on His New Warhol Authentication Service"